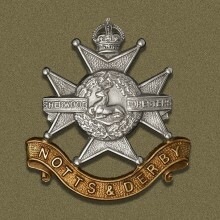 Private Frank Haywood served with the 9th Bn., Sherwood Foresters (Notts and Derby Regiment) in the Gallipoli Campaign. A miner at No2 Markham Colliery, he was a married man with two children. His father was the captain of the Staveley Fire Brigade. Frank was killed in action on 29th November 1915 and is buried at Azmak Cemetery, Suvla. Pupils at local schools showed their respect for the fallen this month with assemblies, services, activities and events taking place throughout the area. 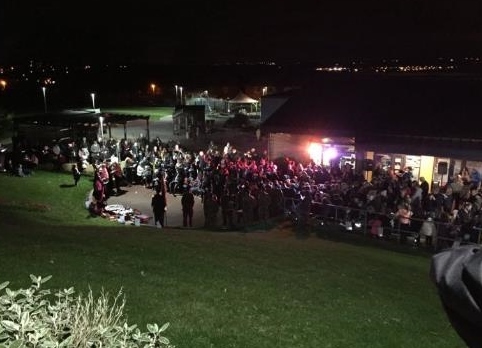 This was a community event with local residents and members of service organisations invited to join the children in remembering the men of Barrow Hill who fell in two world wars. Hollingwood Primary School’s open-air service of Remembrance was attended by families and members of the local community at the Paul Cummins inspired “Tree of Remembrance and Peace” sculpture in the school grounds. 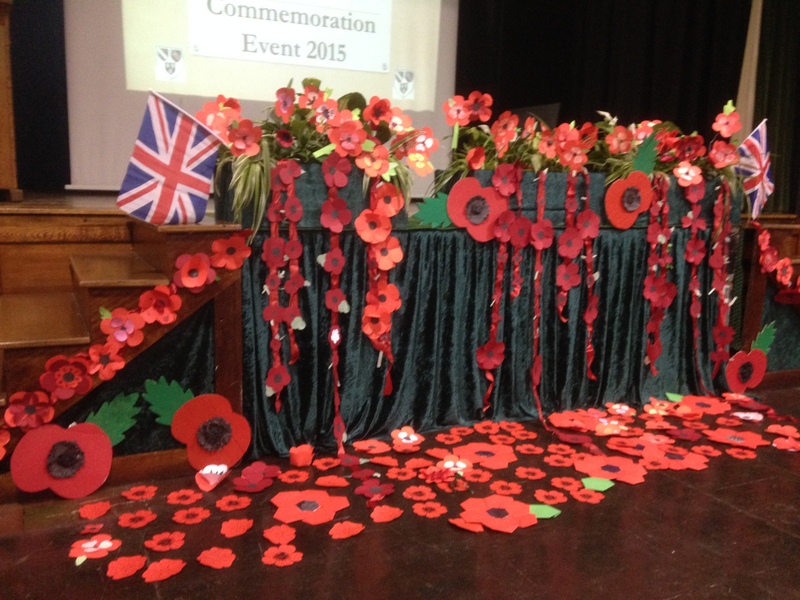 The school held poppy making workshops throughout the week and each class made a wreath to lay during the service. Refreshments and an opportunity to view the children’s work were provided afterwards. At Netherthorpe School, Year 7 pupils took part in a week of WW1-related cross-curricular activities. Each group then presented their research to their year group and V.I.P. guests during an afternoon of Remembrance. Themes included Life in the Trenches, The Christmas Truce, Rationing, WW1 Poets, Then and Now and more. 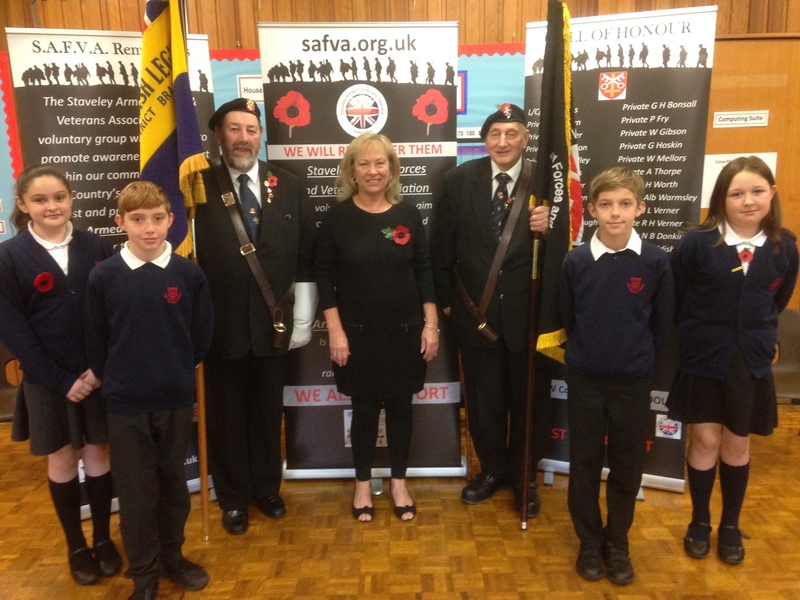 Members of the Staveley Remembrance Association were honoured to be invited to attend, or take part in, these events. Members also led an assembly for pupils at Calow Primary School.